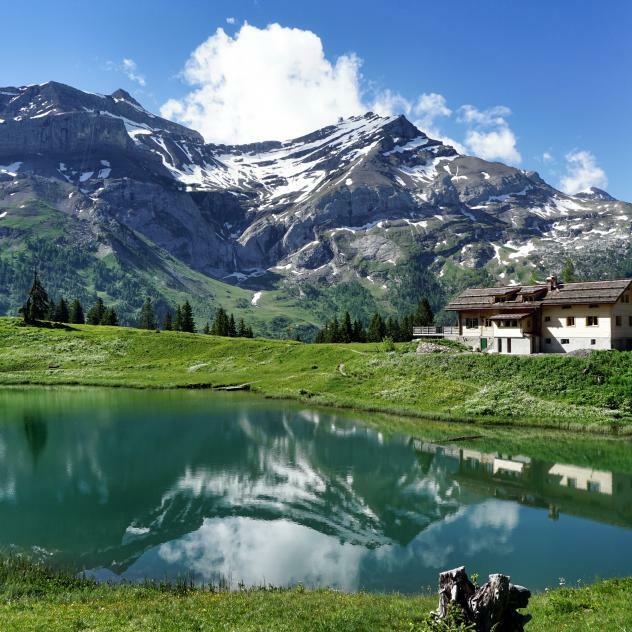 This hike takes you to the typical hamlet of Vers-l'Eglise. Starting from the Tourist Office, follow the river to the station, then head out of the village along the main road. Continue along the road to Les Bovets past the Hôtel du Pillon. Keep going until you get to the little village of Vers-l'Eglise crossing the main road to the lower part of the village. Walk back up to Les Diablerets along the Les Cotes road. 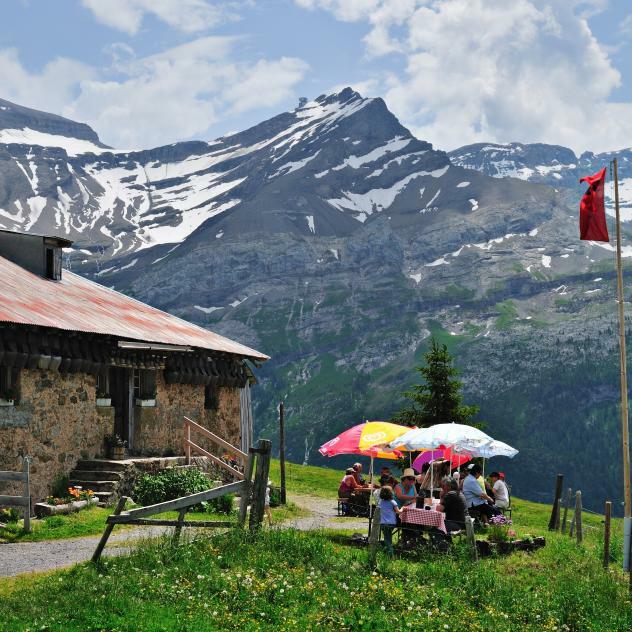 When you’re in Vers-l'Eglise, visit the museum which regularly has exhibitions on the Vallée des Ormonts or linger for a while on the terrace of the Auberge de l'Ours. Enjoy the tranquillity of the hamlet’s pretty paved square with its church and fountain.